A YouTube user by the name of ‘satantribal’ spotted similarities between a sequence in the new Call of Duty: Ghosts and the ending to Modern Warfare 2. In the video posted above you can see for yourself how identical the animations appear to be. 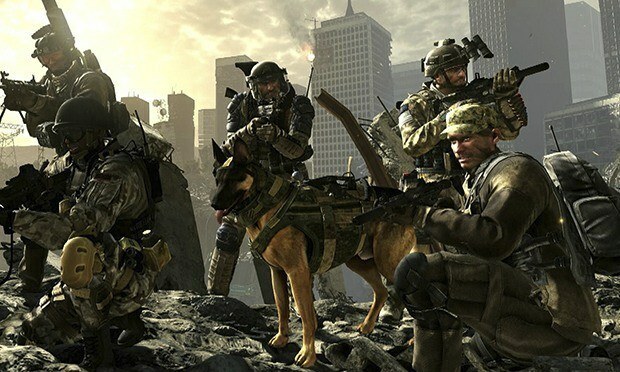 The whole scene from Modern Warfare 2 has seemingly been just re-skinned by Infinity Ward and included in the latest installment of their Call of Duty franchise. One has to ask whether this was put in as a tribute to Modern Warfare 2 or were Infinity Ward simply hoping that consumers won’t be able to recall a game they played back in 2009. This isn’t the first time that the studio has been caught reusing old assets. Plenty of 3D building models used in the first Modern Warfare were spotted by players in Modern Warfare 3. While it’s not a sin to recycle your assets, Call of Duty: Ghosts was in fact the studio’s entry ticket into a new next-generation era, with the game also being one of this year’s blockbuster titles. One perhaps wouldn’t expect such a laid-back attitude from a studio. The game though is making headlines with its supposedly brilliant storyline. Call of Duty: Ghosts launched yesterday on the PS3, Xbox 360, Wii U, PC and PS4. The game will launch for the Xbox One on November 15.